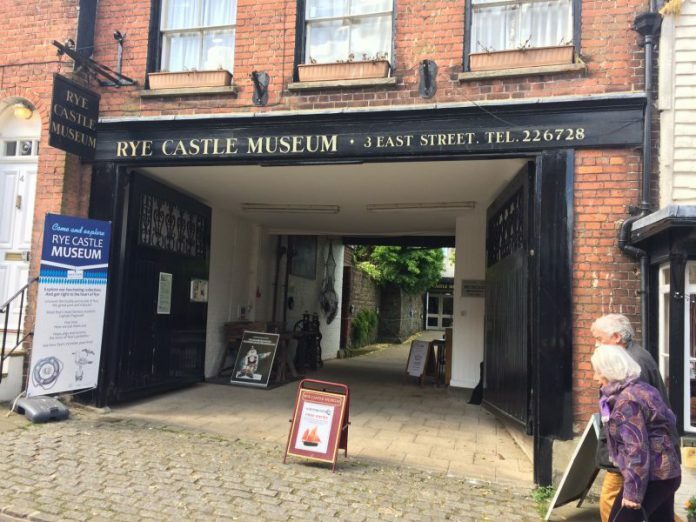 Rye Castle Museum on East Street has arranged three events during February.The first will be a “Cakes and Curiosities” event on Monday February 11, 2-4pm. You are invited for tea/ cakes and a chat and the museum will show a couple of the more interesting and unusual objects from the collection. If you have any item you wish to bring along to show and discuss or just listen to others, a pleasant afternoon is sure to ensue. There is a £2.50 entrance charge, including refreshments. The monthly talk will be on Thursday February 14 at 7:30pm at East Street Museum – “The Master Masons” by Imogen Corrigan. A welcome return by Imogen who will tell us about the people who built the cathedrals and churches like ours! Entrance and £3 members £4 guests which includes light refreshments. There will also be a raffle. During half term on Monday February 18, a craft afternoon for children and adults will be held at East Street Museum in association with the RNLI Rye Harbour Pebble Project. Come along and paint a pebble for the pavement proposed alongside the present day RNLI station in Rye Harbour, to commemorate the ninetieth anniversary of the Mary Stanford lifeboat disaster. There will be a free drop-in session between 2pm and 4pm, when help and materials will be provided to paint a pebble with a nautical theme. This is a community venture and any financial donations will be appreciated. Do come along and support all or any of these events. Look out for a new display on the walls of Rye station ticket office featuring Rye Castle Museum. The Museum welcomes new members and volunteers. There are benefits for members, talks, social events, free entrance to Ypres Tower and of course helping to preserve our historic buildings and heritage and wonderful collection for the town of Rye. For more details visit the website.